Petroleo Brasileiro SA (NYSE ADR: PBR), the Brazilian national oil company better known as Petrobras, announced Wednesday that it had agreed to issue $42.5 billion in new stock to the Brazilian government to obtain the rights to five billion barrels of oil in offshore fields. 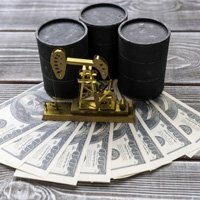 Petrobras will pay an average of $8.51 a barrel for the oil after almost two weeks of negotiations with the government, according to a regulatory filing. More than half the oil will come from the Franco field in the offshore Santos Basin, the company said. Even though the company paid what is seen by many analysts as a premium for the rights, the deal is the linchpin for the Latin American oil giant's long-term financing plans.